I have an office in downtown Phoenix that I have the option to work from. The view from my window is very nice, so I thought I would post a few pictures up for all to see. 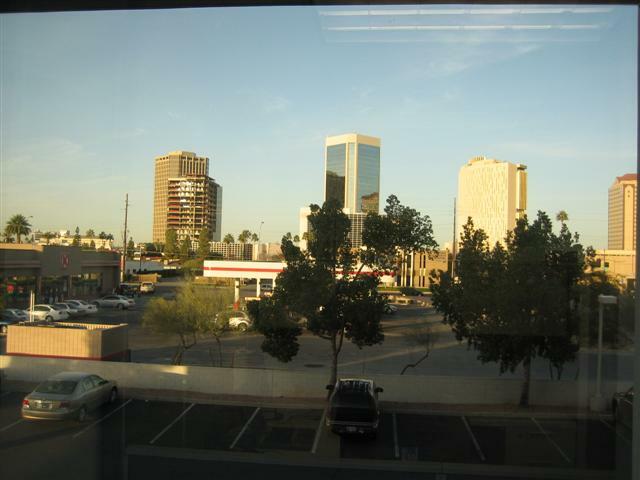 As you can see I have quite a nice view of the sky and some nearby Phoenix buildings. I think it is a pretty sweet view! The location and environment of your work space can mean the difference between being productive and happy or non-productive and miserable. I have heard of many scientific studies that indicate sunshine helps to promote good moods and feelings of happiness. 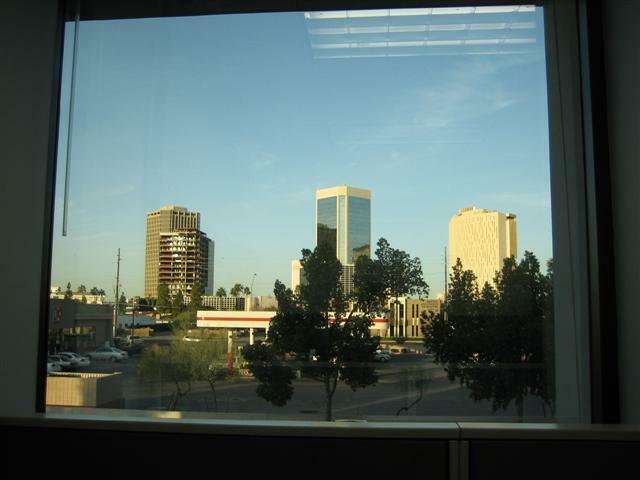 Do you have a nice view of the sky and surrounding areas from your work environment? If you do not, does it make you feel down or less happy compared to working from an area with a nice view? Does your view affect your mood at all? If you have any input on this topic, please let me know! I have a view of 3 cubicle walls. But, they are nice walls.